ADI has the experience and capability that your business demands. We are a full-service courier service specializing in time critical delivery in-town and out-of-town. We’re available 24-hours every day… Get specialized delivery services such as medical specimen and stat delivery, sensitive legal delivery & filing of documents at all courthouses. We have cars, trucks and cargo vans to suit your every need. We can deliver anything from a document to large pallets. Let ADI Courier Service take care of all your courier service needs by delivering quickly and efficiently throughout Northeastern Pennsylvania. We offer quality service and competitive rates. You can expect pick-up to delivery to take approximately four hours. Rates start as low as $7.00. Multiple Stop Deliveries Perfect for medical and legal delivery needs. Regular This is our routine service. You can expect pick-up to delivery to take approximately three hours to complete. Rates for this service start at $9.00. Hot This service is reserved for deliveries that must be picked up and delivered within two hours. Rates for this service start at $13.00. Priority This service is for a direct run. We will quote you an estimated time of delivery. This premium service rate starts at $17.00. Special Courier Services Medical, legal, cargo and out-of-town services. All service rates are based on point mileage and are subject to change. We specialize in hand delivering packages, from small envelopes up to 10,000 lbs. Our coverage area includes Pennsylvania, New York and New Jersey. Call if you have anything 51 miles or over for a free quote. For a rate sheet, please write RATES on your company letterhead and fax it to 570-344-4928, call us at 1-888-227-5717 or send us an e-mail to dduffy@timesshamrock.com. A.D.I. 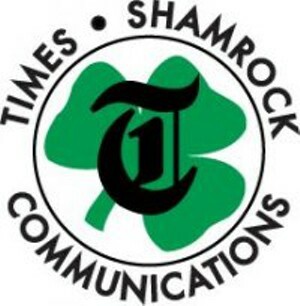 Courier Service is a wholly-owned subsidiary of Times-Shamrock Communications Inc. located in Scranton, Pennsylvania. We have been successfully distributing to retailers and businesses since 1998. We specialize in hand delivering packages, from small envelopes up to 10,000 lbs.